Apple announced the release of the newest model of their iPhone line of mobile phones.Two models of the iPhone 6 will be released on September 19 — the 4.7 inch iPhone 6 and the 5.5 inch iPhone 6 Plus. Both phones will come with greatly upgraded hardware and both phones will feature Apple Pay — which is a way they can be used to make credit card purchases. It’s finally happening, Apple fans — the company’s huge late-summer 2014 event is officially underway. Months of leaks and rumors have led us here, where Apple will make all of its hotly anticipated announcements and put all of the rumors to bed. Expected highlights include a completely redesigned iPhone 6 with a 4.7-inch display, an even bigger iPhone 6 Plus alphabet … a new mobile payment platform and plenty more … Calling it “the biggest advancement in the history of iPhone,” Cook showed off the company’s new flagship iPhone 6, which features a brand new design and a 4.7-inch display, and the iPhone 6 Plus, a similar device with an even larger 5.5-inch screen. The new phones feature next-generation Retina displays, which Apple says are improved in a number of key areas. The iPhone 6 sports 1334 x 750 pixels while the iPhone 6 Plus phablet features full 1080p HD resolution and a pixel density of 401 ppi. Both phones are thinner than any previous iPhone. The iPhone 6 is 6.9 millimeters thick and the 6 Plus is just 7.1 millimeters thick. The phones are indeed much larger than current iPhones, so there will be a special compatibility mode for current apps that haven’t been designed for the larger iPhone 6 and 6 Plus displays, and there are a number of software features that will make one-handed operation easier. Both phones feature a 20nm Apple A8 processor that is 25% smaller than the A7 but 13% faster. The chipset’s GPU is dramatically improved as well, making 3D gaming smoother and more complex than ever before. According to Apple, both the new iPhone 6 and iPhone 6 Plus have equal or better battery life than the iPhone 5s. This will come as something of a disappointment to current iPhone users, who were hoping for some real improvements where battery life is concerned. The second-generation motion co-processor, the M8, now measures distance, elevation and more in addition to steps, thanks largely to new integrated sensors such as a barometer. Also included in the iPhone 6 and iPhone 6 Plus are new faster LTE compatibility, Voice over LTE capability and integrated WiFi calling that can seamlessly transition between WiFi and cellular. The new 8-megapixel iSight camera in both new iPhones is dramatically improved, according to Apple’s Phil Schiller. It can focus twice as faster as Apple’s earlier cameras, a new True Tone flash, an f2.2 aperture and enhanced macro and landscape shooting … The 16GB iPhone 6 will cost $199, a 64GB model will cost $299 and a new 128GB model will cost $399 on contract. 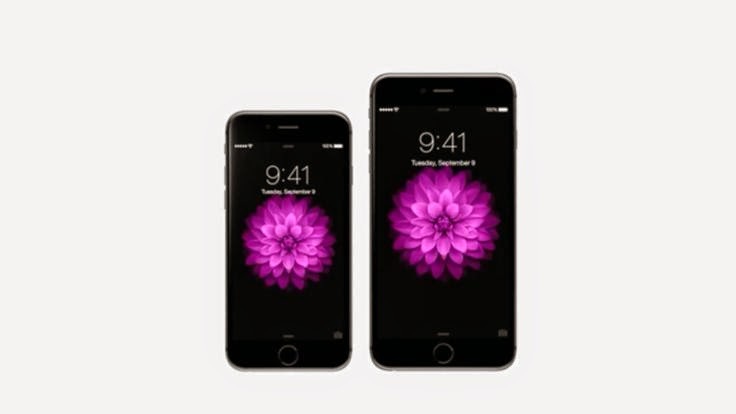 Each comparable iPhone 6 Plus model will cost an additional $100. The phones will be released on September 19th and pre-orders will go up on Friday. The iPhone 5s will now cost $99 on contract and the iPhone 5c will be free. My cute cuz Becca is an Apple fanatic and she definitely can't wait picking up this new phone as soon as it is available... Am Not really an Apple fan... yeah! u heard me right!! !LOL.